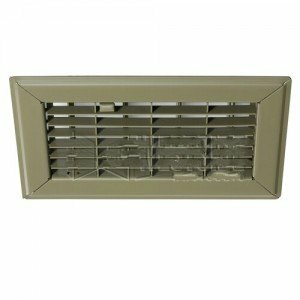 Hart and Cooley Model 210 Steel Floor Register is designed for use in Residential and Light Commercial applications. The all steel construction provides a firm, smooth surface and is easy to install. Featuring a golden sand finish, the extremely rigid 4" x 8" floor register operates with a toe-valve control. Designed and manufactured to the highest performance standards, the Hart&Cooley steel floor register delivers exceptional value, aesthetic appeal, and consistent performance.